1.2 How does BetterHelp Work? 1.3 BetterHelp Cost: Is it Worth it? 1.4 What are the advantages of BetterHelp? 1.5 What are the disadvantages of BetterHelp? 1.6 Is BetterHelp for me? In June 2016, I moved to Barcelona, Spain. At the time I was new to the city, I was going through a rough period at work, my living situation wasn’t supportive, and I was starting to have real troubles sleeping. All in all, I was really, really stressed. In fact, at one point, I didn’t sleep for two nights straight. As the anxiety grew, and depression started to set in, I began to realise that I need help. But I was in a city where I knew no one, I didn’t feel that I understood the culture, and to be honest, I didn’t want to go through the process of finding a psychologist. I was being stubborn, and it was doing me no favours. Then, as one night I was mindlessly scrolling social media, trying to distract myself from obvious concerns, and I came across a Facebook Ad that seemed to magically (sarcasm) read my mind. Like most of us, the majority of things I read on Facebook seem to go unnoticed. However, two words caught my attention: affordable and online. I definitely needed someone to talk to, but I was resisting the idea of a traditional therapist. I didn’t want to spend MORE money on therapy, knowing (sarcasm again) that I’d be ok again in a week or two (but that wasn’t going to be the case). Plus, I was already so busy with work, how was I going to find the time? BetterHelp looked like something I could fit around my work schedule and it was the cheapest option available at the time. So I signed up for their 7-day free trial and got started. Note: In May 2018, I signed up for another month of BetterHelp – despite already having a therapist I talk to – I did so in order to see if the service was the same. The one big difference I noticed it that they have hundreds more therapists from a wide range of specialties. 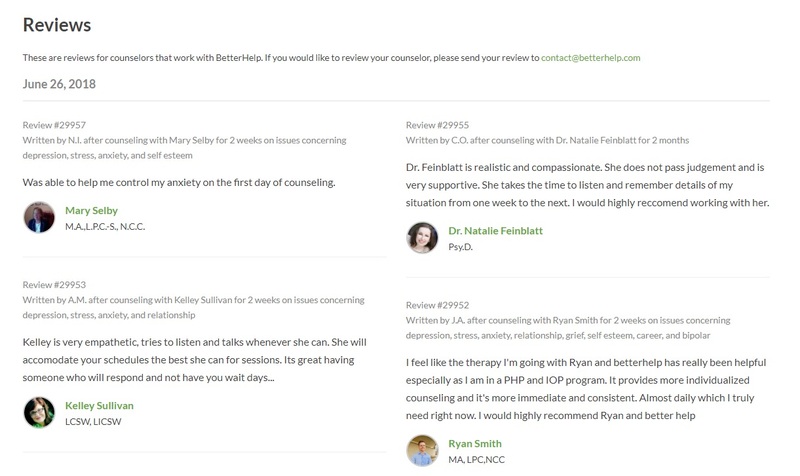 BetterHelp is an online therapy service that offers live messaging, phone and video sessions with almost 2000 qualified counsellors, psychologists, therapists, and clinical social workers from around the world. How would you rate your current sleeping/eating/ financial habits? Funnily enough, I’ve never had a therapist do this thorough of a background check with me. In fact, the questions about chronic pain and spirituality are two themes that have defined a lot of my own psychotherapeutic process, but these didn’t even come up in the first month of my therapy. It’s easy to put therapy and spiritual into separate boxes, but that need not be the case, obviously therapists meditate too! 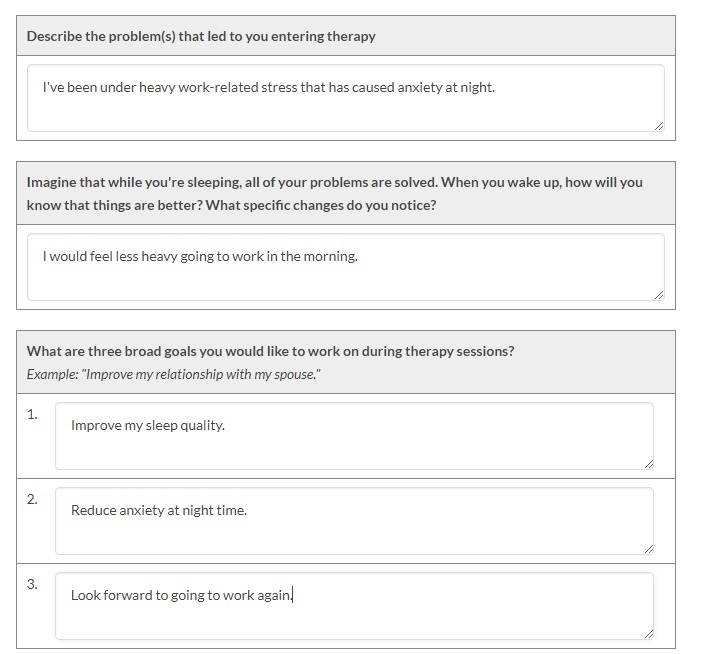 After you’ve answered these questions you’ll be assigned a therapist who will introduce themselves and give you some worksheets to fill out. I found these incredibly useful in helping me define what I wanted out of the therapy and to feel that I wasn’t wasting my time. I changed therapists in the first week, simply on a hunch after reading their biography that I’d have more rapport with someone else. It took BetterHelp 24 hours to assign me a new counsellor to work with. Once you’ve decided on a therapist you can choose a time for a live session, whether you want to do directed messaging, over the phone, or live video, it’s up to you. However, if you decide on a time with your therapist, make sure you book that time through BetterHelp – otherwise, they’re not obligated to show up, or they may not remember (they typically deal with quite a few clients). BetterHelp Cost: Is it Worth it? Compared to traditional therapy, BetterHelp is a bargain. There are three tiers to the BetterHelp pricing and they also have an option for financial aid for some people that may not be able to afford it. Many people ask how often they should talk to a counsellor or psychologist. In my experience, talking to someone less than once a week makes it really difficult to build rapport. Once a fortnight or once a month is fine once you’ve already established a relationship, but at the start, it makes the process slightly difficult and tough to get the ball rolling. I chose to go for the monthly option, and I managed to fit in three phone calls with the therapist in that month. They say unlimited live sessions but from what I’ve gathered they only really tend to offer one live video session a week. To be fair, it’s more than enough as they tend to answer any questions you have over text within 24 hours anyway. What are the advantages of BetterHelp? Cost. Cost is the most obvious benefit of online therapy. Typically a one-hour session with a psychologist will set you back $100-150 USD, so with plans starting at $35 a week, you’re saving a lot of money. Flexibility. Online therapy is a lot more flexible than traditional therapy. Whereas you’re often limited to a one-hour session a week – plus travel time – that fits into your the schedule of your therapist, online therapy allows you to take therapy from anywhere you have an internet connection. This was one of the main reasons I decided to experiment with BetterHelp in the first place. It’s all available on mobile so you can ask questions on the go as issues come up in real time. Anonymity. Therapy can be an uncomfortable situation for many people. There are issues that you don’t want to talk about with a stranger. Many people from all walks of life still have to deal with a stigma around mental health issues, and therefore online therapy allows an anonymity that can help us get started on our journey to better mental health. 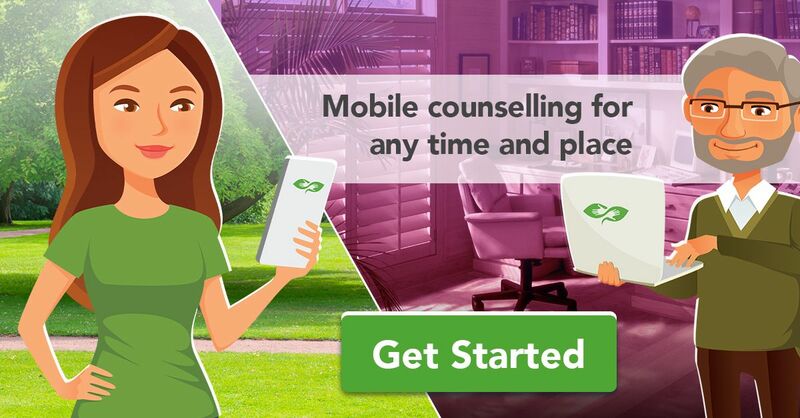 Easy to switch counsellors. When I decided I wanted a different counsellor with BetterHelp, it took less than 24 hours for them to allocate someone new. In face to face therapy, you have to do some research to find a new therapist and then call to book an appointment in the hope that they have an appropriate time available. More goal-directed. I’ve had experience with three counsellors at BetterHelp, and from what I can tell, they tend to be a lot more exercise orientated. Before the first session they will give you worksheets to complete. These are built into the BetterHelp interface which makes them easy to refer back to later on. This is good because you can feel like there is a tangible benefit to the therapy, as opposed to traditional therapy, where you may not even get exercises. Good for anyone outside their country. When you’re living in a foreign country it can be hard to find a therapist you can relate to. There may be an obvious language or cultural barrier that prevents you from building rapport and opening up in a way that’s necessary for the therapy to be fruitful and productive. More frequent contact. In the culture of face to face therapy, it’s often not typical that you are able to message your therapist frequently throughout the week. This can tend to lead to a feeling of isolation, and that you don’t really have someone who’s trying to help. With the messaging function, your online therapist can give you direction and advice between live sessions, so you don’t feel like there’s you’re on your own the majority of the time. Specialists. If you don’t live in a big city it can be tough to find a therapist who specialises in what you’re dealing with. This is particularly relevant if you’re dealing with something outside of the most common mental illness issues such as depression and anxiety. What are the disadvantages of BetterHelp? Rapport. Some people might try to tell you that there’s no loss of rapport between online and face to face therapy. I’m going to be honest with you, there is. The therapist I see now is online via Skype, and though there is trust in the relationship, that’s only been built after more than a year of sessions. When you first start online therapy, it’s not going to feel as it would were you in someone’s office – but a live video session does get close. The benefit of that is obviously anonymity, but it depends on your personality. May need to try more than one counsellor. Because BetterHelp chooses a counsellor based on your initial questionnaire, you may not always get someone that you believe is a good fit for you. Fortunately, it’s easy to request a new one, and they are usually assigned to you in less than 24 hours. Don’t always give immediate feedback. A lot of people go into online therapy expecting that they’ll have a friend to instant message any time of the day. Unfortunately, that’s not how this service works, which is fair enough, these are professionals with multiple clients and their own lives. Typically the counsellors at BetterHelp will respond at least once a day, so request someone on your time zone. However, if you’re looking for someone to chat to constantly, this isn’t the best place to find it. BetterHelp has almost 30,000 reviews that you can read on their website. But the question is, would I recommend BetterHelp? There are two situations where I would recommend traditional counselling over an online approach. If you are experiencing symptoms of a major mental illness – schizophrenia, bipolar, persistent suicidal ideation. If you can afford the time and cost of traditional therapy AND would much prefer to speak to someone in person. In my own experience, I have had both better and worse experiences than BetterHelp with face-to-face counselling. For me, it’s a legitimate option if you’re struggling with depression, anxiety, stress or loneliness. 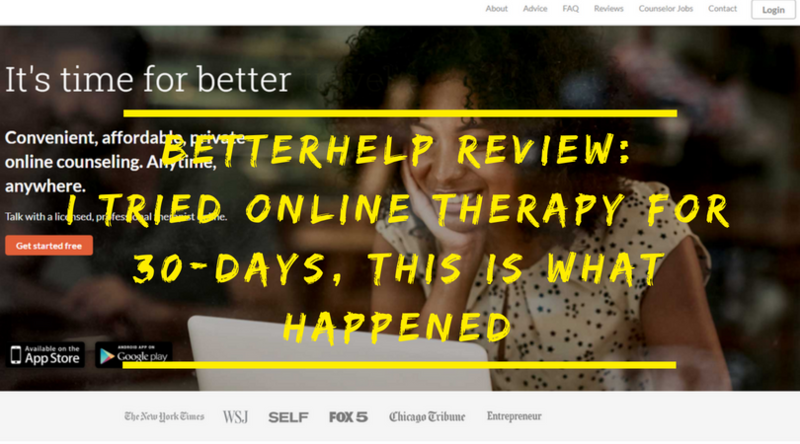 30 days of online therapy with BetterHelp was just what I needed at that moment in time. It helped me manage stress and anxiety, and knowing my history, I’m sure helped prevent me from getting caught in a long depressive episode. It provided a necessary support and was obviously worth every cent. Was it life-changing? No. But I can tell you that it’s never ever worth risking falling into a depression, or prolonging your experience in a depression, when you have the option to seek help. My personal experience with therapy has shown me that at the very least it can provide a structure to your mental health care that gives you a buffer against hopelessness. And at the very most it can provide important psychological insights that allow you to get through tough times and prevent future relapses. Meditation has shown me that most of our resistance to therapy is simply out of fear and pride – and it’s a losing game that only ever prolongs our suffering. My understanding of the neuroscientific implications of mental illness and therapy – through a Masters Degree in Applied Neuroscience – has shown me that the longer we leave mental illness untreated, the more our brain is physically damaged, and the harder it is to deal with in the future. The quicker we take action, the easier it is to heal, both now and in the future. That’s why I’m recommending BetterHelp – not because it’s the be all end all, but because it’s a very useful service in the fight against mental illness. Depression is a very serious illness that is unpredictable and can worsen unexpectedly, and very quickly. If you’re experiencing any signs of depression, I urge you to seek help. If you’re going through a tough time, don’t keep it to yourself, please reach out to someone, whether that’s BetterHelp or traditional therapy. Your therapist will recommend that you commit to 4-6 months of therapy – but I understand that it’s a significant ask. So I’m going to suggest that you give it a go for one month, and just see how you go. I’m an affiliate for BetterHelp, which means I get a commission if you sign up. Click on this link or the image below, and you’ll get a 7-day free trial so you can feel out the service. Try it out, you’ve got nothing to lose! P.S. Like I said before, I used to be stubborn when it came to therapy. But I’ve come to realise that there is nothing more valuable than my wellbeing. The amount of money we spend on shining-objects in an attempt to feel better about ourselves trumps the cost of therapy ten times over. Have you ever tried online therapy? Let me know! I’d love to hear from you.